The sealless DHC is a series of circulation pumps primarily for circulation of heating water and hot tap water applications. 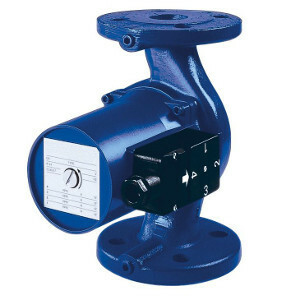 The frequency controlled circulation pumps are available in various materials as well as a wide selection of capacities, dimensions and connections for applications in new and existing installations. The pumps are easy to configure, with just a single control button. The DHC M (Manual speed setting) is a bronze circulation pump series for tap water, with multiple manually selectable speed settings. The DHC M is suitable for hot tap water systems.